The Benton Civic Center is a multi-purpose facility located in the heart of Southern Illinois. Rend Lake, voted one of the Seven Wonders of Illinois, lies just to the north with Interstate 57 only several hundred yards to the east providing easy access to all of mid-america. The Center features a unique capability to host a variety of events with seating up to 1,100 for meetings and theatrical events in a flexible seating environment. Dinner and banquet seating can range from 100 to 550 guests seated comfortably at tables throughout the main floor area. Full in-house food and alcohol service options are available to our customers. From craft shows, concerts, banquets, business meetings, and even sporting events, the Center’s flexibility proves itself time and time again to event organizers looking to maximize their profit potential. With affordable pricing the Benton Civic Center remains one of the best buys among events centers in all of Southern Illinois. Call us at *NOT DISPLAYED* for more details. Flexibility is our motto. 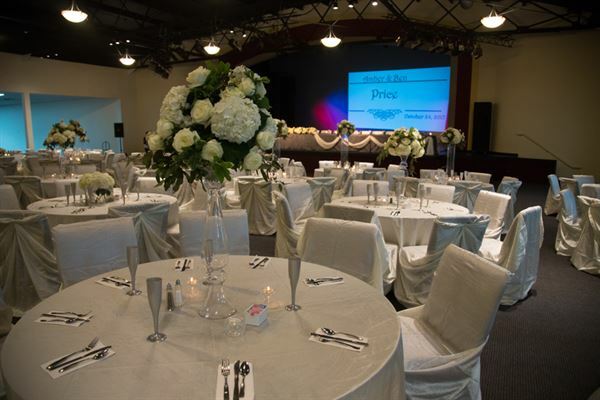 Our space works great for both banquet or theatrical configurations. In fact we're the one space in Southern Illinois where a client can do both at the same time. Have a corporate dinner and bring in a headliner for after dinner entertainment! Complete in house food catering options available along with alcohol services. Special Features: On site food services, both concession and full banquet options available. Alcohol services available.